The Department of Health and Human Services has awarded Elusys Therapeutics a $25.2 million contract to supply an anthrax treatment for the country’s national repository of medical countermeasures for public health emergency use. 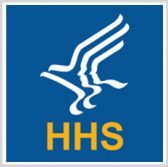 HHS said Monday its Biomedical Advanced Research and Development Authority provided funds for the company to produce the Anthim monoclonal antibody injection as part of Project BioShield. Elusys will deliver the injectable treatment to the Strategic National Stockpile. The drug, known generically as obiltoxaximab, works to complement antibiotics and neutralize the toxins produced by anthrax bacteria called Bacillus anthracis. Anthim was developed through Elusys and BARDA’s public-private partnership after the company received initial drug research funds from the National Institute of Allergy and Infectious Diseases. The Food and Drug Administration approved the drug in March 2016 as a treatment for patients who suffer from inhalational anthrax.